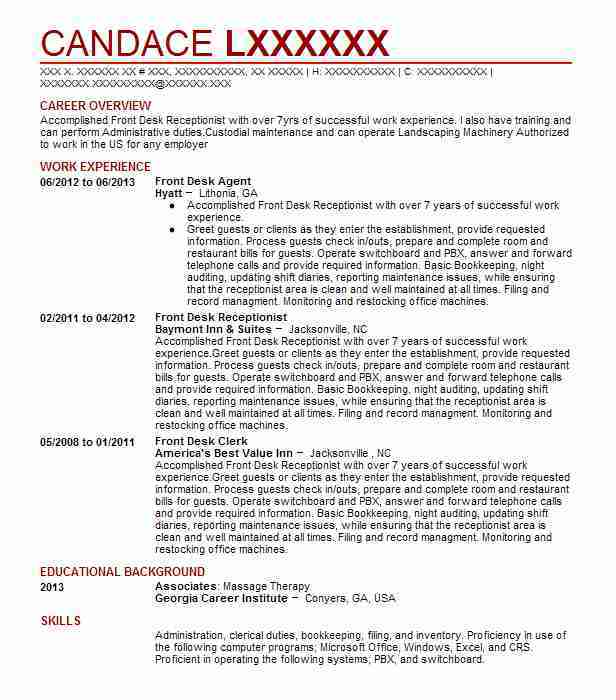 Adaptable and efficiency-oriented Front Desk Agent with over 10 years of combined experience in business and hospitality management. Influential communicator able to guide cohesive teams toward shared goals and advancement. Strategic thinker seeking a management role with a dynamic hotel team to apply a collaborative spirit and technical expertise to ongoing operational success. Coordinated sale and planning for wedding parties and events. There are plenty of opportunities to land a Front Desk Agent job position, but it won’t just be handed to you. 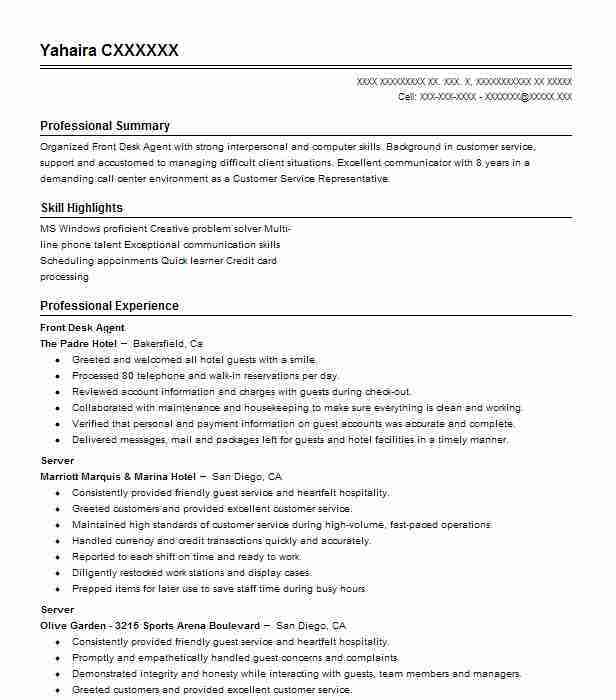 Crafting a Front Desk Agent resume that catches the attention of hiring managers is paramount to getting the job, and LiveCareer is here to help you stand out from the competition. 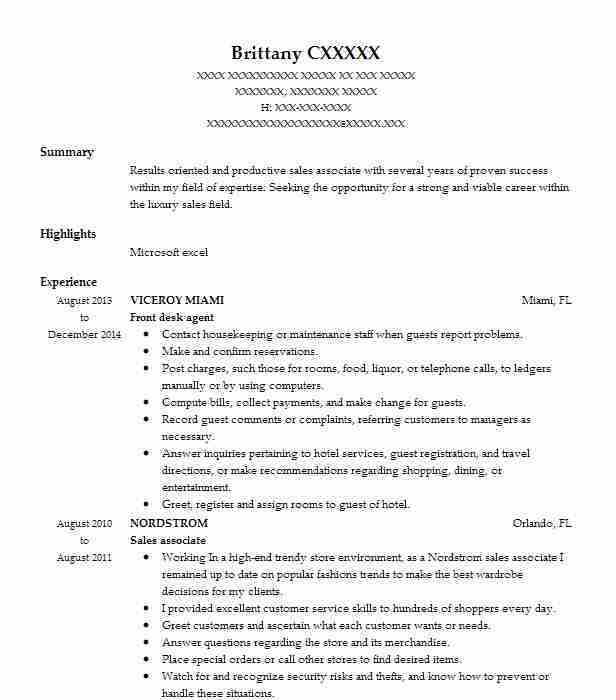 Summary: To obtain a mid-level position that will utilize my customer service skills and experience.